*If you are a new patient, please arrive 20 minutes early to fill out new patient paperwork. During the session, we will get acquainted with you and discuss your health history and any current health and wellness issues. We provide a holistic health approach and are happy to answer any questions you may have. We’re glad you have chosen us to provide your medical care, but if you miss your appointments, you compromise that care. We want to notify you of our office policies regarding missed appointments. 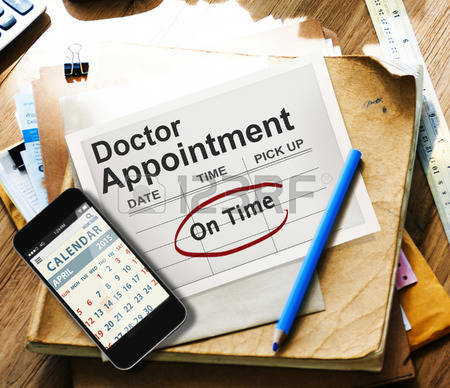 A missed appointment is when you fail to show up for an appointment without a phone call, or cancel without at least 24-hour notice. A doctor/patient relationship is built on mutual trust and respect. As such, we strive to be on time for your scheduled appointments and ask that you give us the courtesy of a call when you are unable to keep your appointment. We understand that there are times when you must miss an appointment due to emergencies or obligations for work or family. However, when you do not call to cancel an appointment, you may be preventing another patient from getting much needed treatment. If it is necessary to cancel or reschedule your appointment, we require that you notify us at least 24 hours in advance. If you are more than 15 minutes late for your appointment, you will have to reschedule. If there is no one waiting, it will be up to the discretion of the doctor whether they will see you. We will require that patients with outstanding balances pay their full account prior to receiving further services by our clinic. To cancel appointments within 24 hours of your appointment, please call (503) 227-1222 or e-mail us at contact@mercyandwisdom.org. Thank you for your understanding and cooperation. 1st Missed Appointment: We’ll call and offer to reschedule your appointment. 2nd missed Appointment: We’ll call and offer to reschedule your appointment. * Balances for missed appointments will not be covered by your insurance. Let’s work together to provide you with the best possible care you deserve. Whether you are ready to get started or simply wish to explore our services further, we invite you to contact us to find out more.